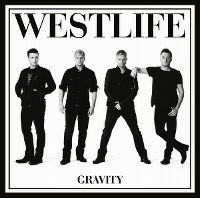 Usual dull affair from Westlife and their popularity is slipping rapidily here in the UK as JLS and of course Take That knock them down to third perhaps even fourth behind The Wanted in boyband popularity. The single didn't chart worldwide and was their worst performing in the UK (#10). This album has fallen out of the UK top 100 after only a few weeks whereas all the groups above still have albums in the charts from many weeks back. 11th UK top 10 album. 9 weeks in the UK top 100. 1 week UK top 10. UK#3. 6 weeks Irish top 10. Ireland#1 (3 weeks). 3 weeks top 40. World Chart#22. 381,500 copies sold in the UK.